Audrey Hepburn was a secret World War II hero who harbored a British paratrooper in her cellar and risked being shot in Nazi-occupied Holland, according to a new book. Princess of Hollywood Audrey Hepburn was secretly a war hero who risked her life harboring a British paratrooper in Nazi-occupied Holland, a new book has claimed. The actress kept her war years private, offering only small glimpses into her past during interviews before she died from cancer in 1993 aged 63. But her heroics were revealed in the new book, Dutch Girl: Audrey Hepburn and World War II. US writer Robert Matzen detailed how the icon risked being shot to hide the British soldier in her cellar before becoming a heroine of the Dutch Resistance. From the age of 12 to 15, Hepburn lived in the village of Velp with her Dutch mother, Baroness Ella van Heemstra, between 1942 and 1945. A paratrooper was placed with the family after the battle of Arnhem in September 1944 by a prominent leader of the Dutch Resistance, according to Matzen. He was hidden in the family's cellar for around a week and sent a bottle of champagne by Hepburn's mother on the night before he was smuggled out. Dotti said his mother had described feeling 'fearful', yet 'excited' that the whole family would be shot if they were caught. Matzen was not able to discover the identity of the paratrooper she helped protect. But the author noted that one British soldier, Major Anthony Deane-Drummond, was captured before escaping by hiding in a cupboard for 11 days. Deane-Drummond went on to be celebrated in Velp as a wartime Houdini. Matzen speculates that Hepburn kept the story secret for 'various reasons', including not wanting to draw attention to the fact her mother was a Nazi sympathiser before the war. She apparently feared it could derail her career and did not want to be seen 'boasting' about her own role in the war. The book, which pieces together accounts from surviving neighbors of the Hollywood actress, also reveals that Hepburn helped the Resistance in numerous other ways. She was tasked with delivering food and messages to stranded paratroopers after Operation Market Garden - a failed attempt by the British Army to invade Germany by seizing key bridges in Holland - according to Matzen. The academy award-winning actress would dance at secretive events to raise money for the Resistance and deliver the local Resistance newspaper, a forbidden publication in Nazi occupied Holland, the author claims. After the war she studied ballet with Sonia Gaskell in Amsterdam before moving to London in 1948. There she continued her ballet training with Marie Rambert, and then performing as a chorus girl in West End musical theatre productions. Following minor appearances in several films, Hepburn starred in the 1951 Broadway play Gigi, after being spotted by French novelist Colette, on whose work the play was based. She was then cast in the 1953 film Roman Holiday with Gregory Peck. Her looks and personality were an instant hit and she won an Oscar. 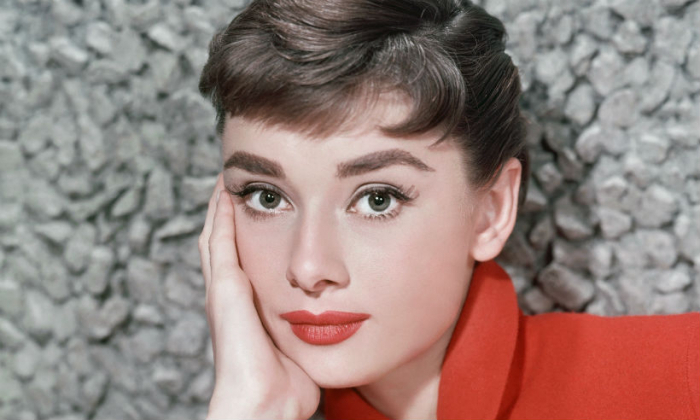 Next came Sabrina, A Nun's Story, Breakfast At Tiffany's, Charade, My Fair Lady and Wait Until Dark. She died in 1993 in Switzerland at the age of 63 after battling colon cancer.